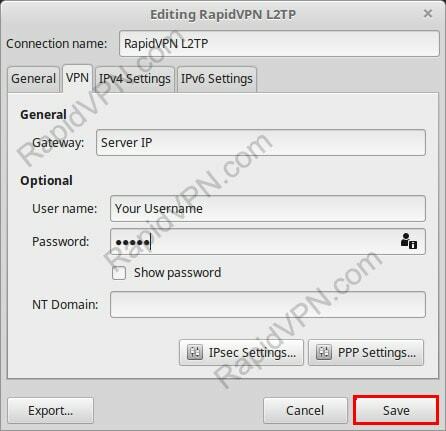 How to setup L2TP VPN connection on Linux Mint? 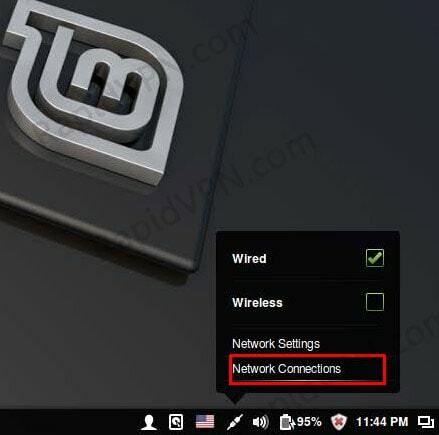 When you finished the commands, logout/login is required. 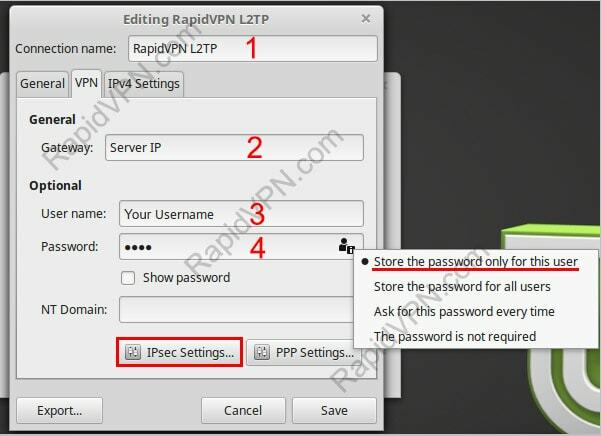 At the end click on "IPsec Settings..." button. 6Now you are ready to use your connection. 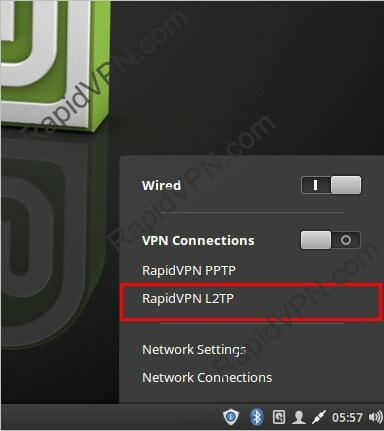 Click on network icon from tray area -> VPN Connections -> RapidVPN Connection. Now your connection will start and soon will be established. Enjoy!